The Barn Owl cottage faces in a Northerly direction and the Pearl Spotted Owl Cottage, South. 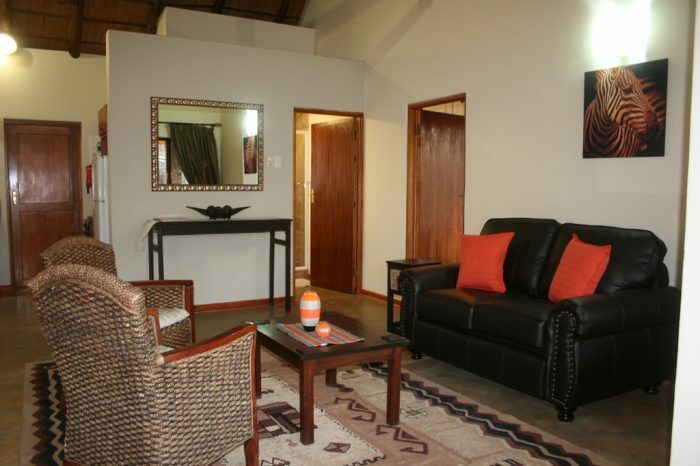 Owl Spot have two luxurious thatched cottages surrounded by beautiful bushveld. 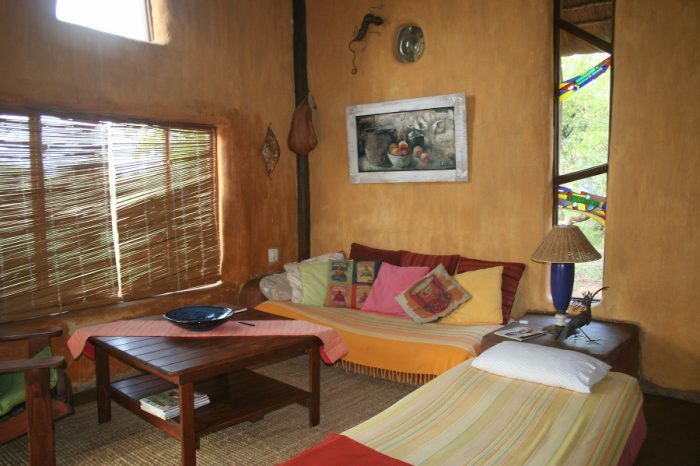 The two cottages provide luxurious accommodation for up to four persons per cottage. 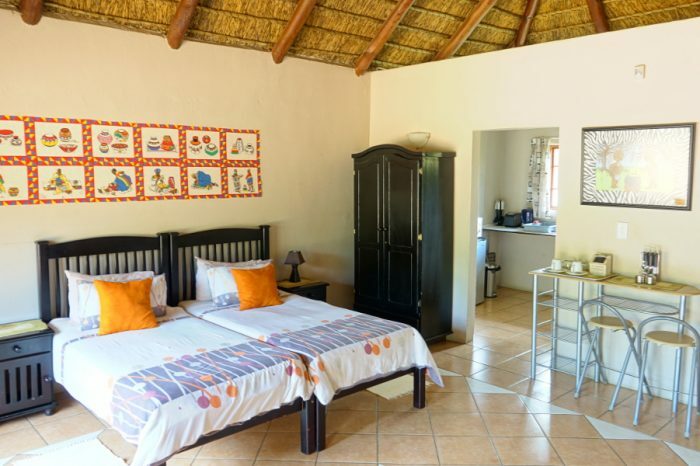 Each cottage is fully equipped for self-service and has a main bedroom with a queen size bed, loft area with two ¾ beds, crisp bedding and toweling, coffee and tea, bathrooms with a beautiful bath tub and a double shower, leather couches in the main living area, a huge patio area where outdoor furniture is provided, webber and braai facilities (bring own charcoal/wood). No air-conditioning, TV or swimming pool.